Our preferred supplier for new masts is Selden, the world leader in the construction of masts, spars and rigging systems. Selden’s range of integrated and complementary products is particularly suitable for yachts between 40ft & 70ft. However we do have experience with other manufacturers’ equipment, including repairing and maintaining older models. The days of the simple aluminium extrusion are long gone. Today’s booms have a wealth of features and can be equipped with a wide variety of reefing systems to suit the diverse range of boats that are now available to 21st century sailors. These various options for reefing systems are discussed in more detail in the Services section. Modern boom extrusions now tend to be manufactured with relatively deep sections in relation to their width, allowing for lighter weight with greater resistance to vertical bending. This makes them perfect for use with modern, stiff sailcloth and efficient rigid vang systems. Originally there was only one way to reduce the sail area of a headsail to suit the changing weather conditions, a different sail was used. This meant that most yachts carried at least four headsails; Genoa, Nos. 1 to 3 Jibs and sometimes a Storm jib. And for most racing boats this is still essentially what happens. 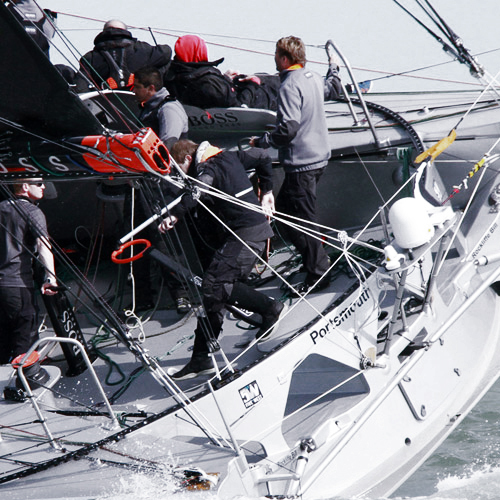 However for club racers and the cruising sailor things have changed dramatically. Improvements in both furling systems and the ability of sailmakers to use modern cloths and to have a better understanding of how to cut a genoa that will keep its shape when reefed mean that often only one headsail is needed. Let the team at RigIt guide you into making the best choice according to your needs and budget. There are two methods of reefing or furling a mainsail; In-mast or In-boom. In this section we will deal with the In-Mast systems. 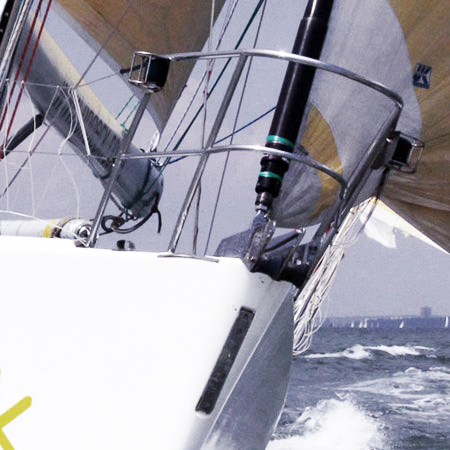 In-mast Furling Systems are a fairly new concept but are becoming increasingly popular as mast manufacturers and sailmakers get a better understanding of the interaction between the two components. With an In-mast system once the mast is in place and the rigging fixed it is not possible to alter the bend of the mast. Doing so would negate the sailor’s ability to reef or furl the mainsail into the mast. Vertical battening of the sail is possible but the latest trend it to construct the sail in such a way that it maintains its shape as the sail size is reduced. At RigIt we have the experience necessary to discuss the various options that are available to allow you to make the right choice for your boat. Over the past decade there has been a trend in sail plans to increase the size of mainsails and to have non-overlapping jibs. 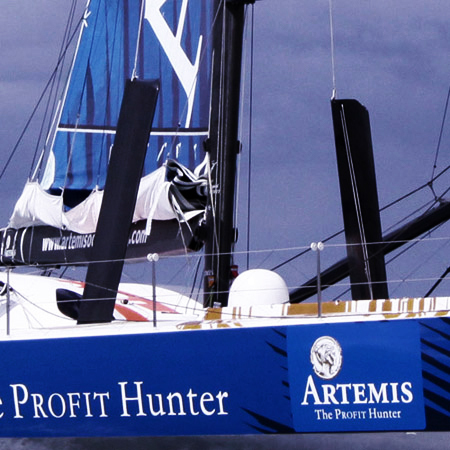 In light weather this has meant that yachts tend to be under powered forward of the mast. This has been counterbalanced by the creation of a new breed of sail, the flying sail; Code Zero, Solents, etc. These sails are not attached to any of the permanent forestays but have an integral luff line that is strong enough to support the sail. 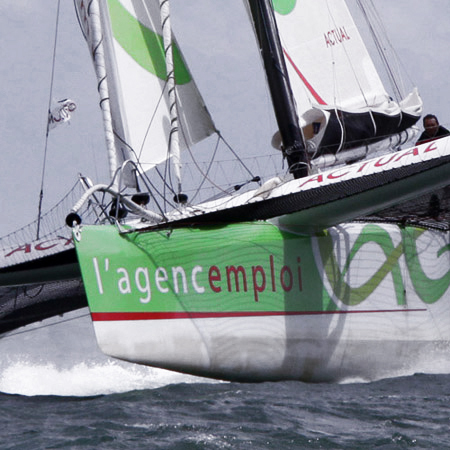 The first applications were for racing yachts but they are increasingly found on board cruising boats. Once raised the flying sail is either unfurled or furled, there is no in-between reefing. Again the choice of furling system hardware can make all the difference to its operation and we would be happy to discuss which is the best system for your boat. 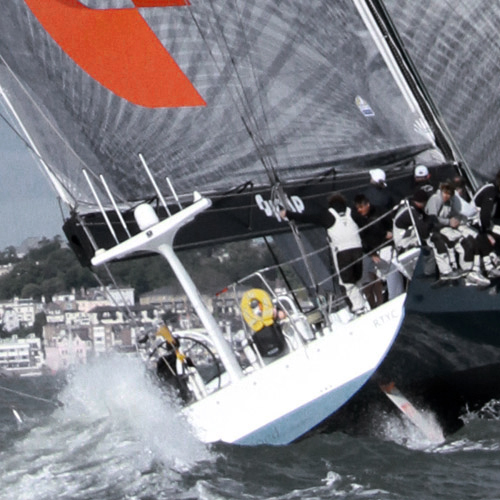 There are two distinct types of Boom Furling Systems; "Park Avenue" or V Boom and In-boom. The Park Avenue system has its roots in the glory days of the J Class when the size of the mainsail required a novel approach to stowing the sail when it was lowered. 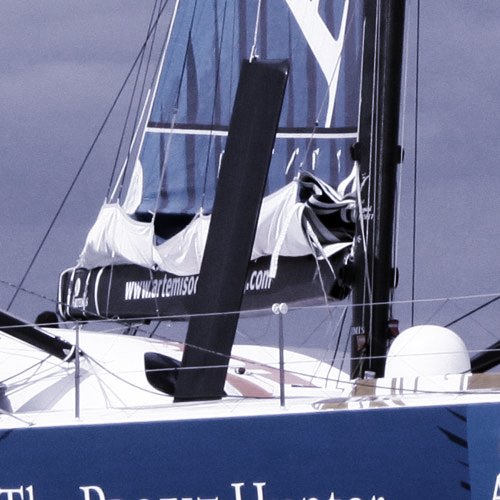 The more modern variant, the V Boom, is easily identified by its unique wings, which extend outwards to catch the mainsail as it is lowered. 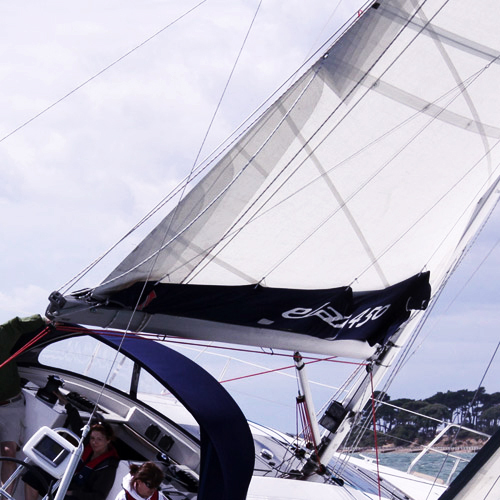 An In-boom reefing or furling system allows for conventional horizontally battened mainsails. Again each manufacturer has their own system but in essence the principle is a roller reefing system with the mainsail being stowed inside the outer casing of the boom. Our experienced team here can advise you on the best option for your particular circumstances. The range of blocks, cleats & swivels available these days is phenomenal. We stock an extensive range from carefully chosen manufacturers. We try to ensure that we provide the best possible equipment to meet your exact needs. 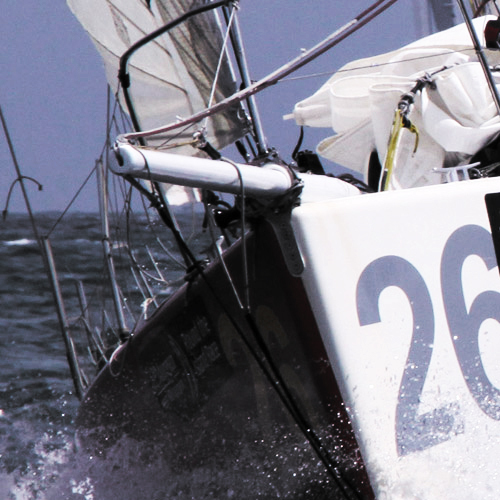 To achieve this we draw on our many years’ experience of building rigs together with our extensive knowledge of all types of sailing and, last but not least, our love of sailing. Traditional wire rigging is still the best choice for many boats as it is well proven & cost effective. 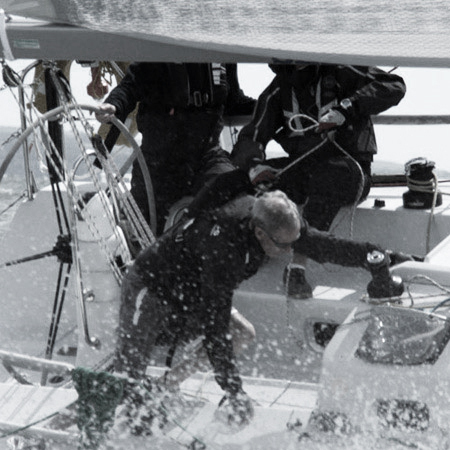 Rod rigging is becoming increasingly more popular as a yacht’s performance is enhanced through less weight aloft and decreased windage, both making a significant difference when sailing. PBO and Kevlar-based systems (Fibre rigging) offer both massive weight savings aloft and less windage but thorough understanding of the material and its benefits by the rigger is vital. 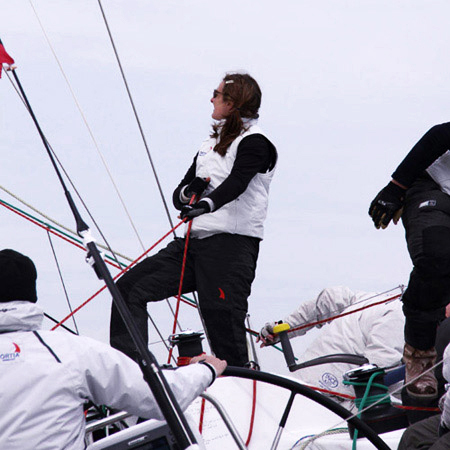 RigIt’s professional team of riggers have a wealth of experience in all three types of rigging and are happy to give advice on the best system for individual yachts. Our preferred supplier for rope is the world leading Marlow Ropes, whose extensive range of cordage includes many specialist items for yachts and dinghies. However at RigIt we do use other high quality manufacturers to ensure that we supply the most appropriate rope for each application. With improvements within the technology during recent years there is an increasing use of hydraulic systems being made on large yachts to automate heavy-duty work that might otherwise take several crew to handle. We have the equipment and expertise to handle all requirements for new installations, routine servicing and emergency repairs. The concept of an automatic halyard lock has been around for many years but these earlier systems were prone to occasional failure and so their reliability was always in doubt. Improvements in materials and design mean that the latest generation of automatic locking systems are virtually fool proof. Internal Autolock - Easily fitted inside the mast below the halyard sheave. Normally used for Genoa, Jib, Mainsail. Also on the boom for reef lines. External Autolock - Hanging autolock for Genoa or Jib articulates from a bracket hanging from the forestay. Block Autolocks - A general purpose autolock for use at the masthead or on the boom. M S H Autolock - The two versions of this Main Halyard Car Autolock system; one for small boats and the other for Superyachts, have both been upgraded to give enhanced performance. S T M Autolock - With more yachts having their mainsails with square tops, to give a bigger roach, this unit is designed to fit externally at the masthead. 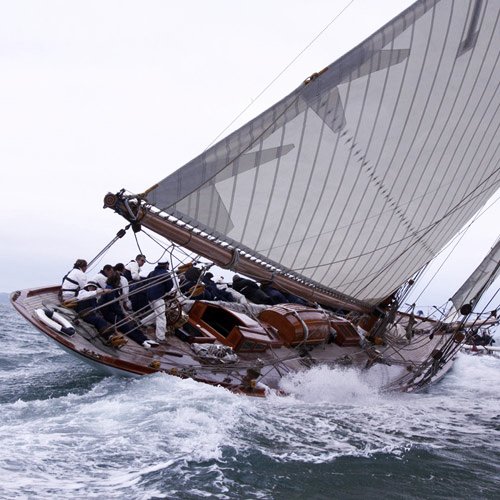 Within this category there are two main areas that we specialise in; Classic Yachts and One-design Classes. These two very different types of yacht both require great attention to detail to ensure that the rigging system they get is exactly what they need. The owner of a classic yacht will be looking to maintain as much of the original appearance of his boat whilst taking advantage of the technical advancements in materials. The owner of a One-design yacht must adhere to the very strict class rules that ensure the all the boats are equal. Both sets of owners can rest assured that the team at RigIt will help them achieve their goal. For downwind sailing the benefits of having a good efficient spinnaker pole system cannot be overstated. A system that is easy to use will greatly increase the pleasure that you get from the use of a cruising chute or spinnaker. 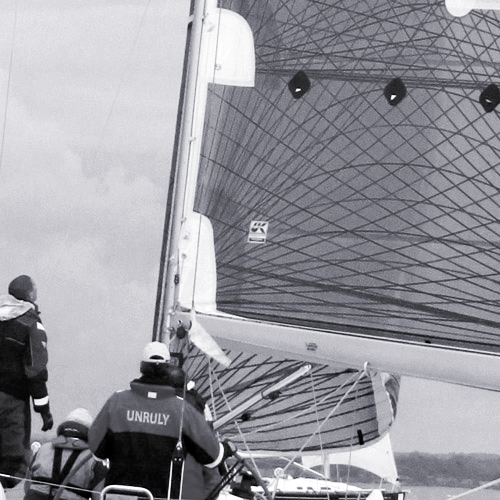 At RigIt we can supply a complete easy-to-use spinnaker pole system, either in aluminium or carbon.